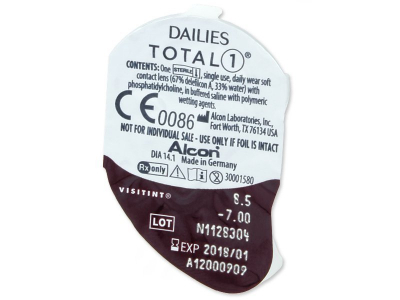 Our economy package of Dailies TOTAL1 silicone-hydrogel lenses, produced by Alcon, have an exceptionally high level of oxygen permeability and ensure comfortable and healthy wear without redness. TopVue Elite+ are high-quality daily contact lenses for correcting myopia and farsightedness. Ideal for an active lifestyle and for those who don't want to worry about lens care. This package contains 90 lenses. Dailies TOTAL1 are daily, silicone-hydrogel contact lenses produced by Alcon. They have a variable water content, distributing moisture throughout the surface of the lens. The production technology combines classic hydrogel material, which contains a high amount of water, and silicone-hydrogel, which provides the necessary oxygen permeability to nourish the cornea. Both materials create extra comfort. This package contains 90 lenses. 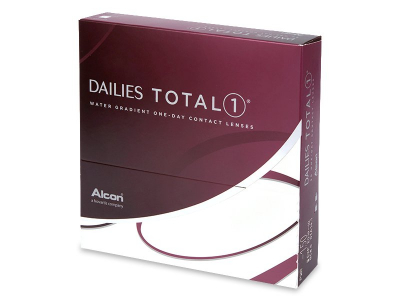 Read more about Dailies TOTAL1 contact lenses. Simply the best lenses I've worn. Much more comfortable, much better quality than anything else. Even with the higher price I won't be using any other lenses. Hi, Mizzy, We're thrilled you're enjoying our product :) Please let us know if we can do anything else for you! Easily the best lens I've worn in nearly 30 years of contact lens use (I started young...) Expensive, but worth it. Hi, Roland, We're thrilled you're enjoying our product :) Please let us know if you have any questions! Very comfortable contacts. Worth the extra! Definitely the best daily lenses I’ve used. Stay moist all day and my eyes never feel sore, tired or dry. Would recommend these to most people that wear daily lenses. Hassle free ordering process and got here on time. Lenses are great, don’t notice that they are there after a while. Dailies Total 1 totally solved my dry eyes. They are excellent! Hi Amanda, thanks so much for the feedback. 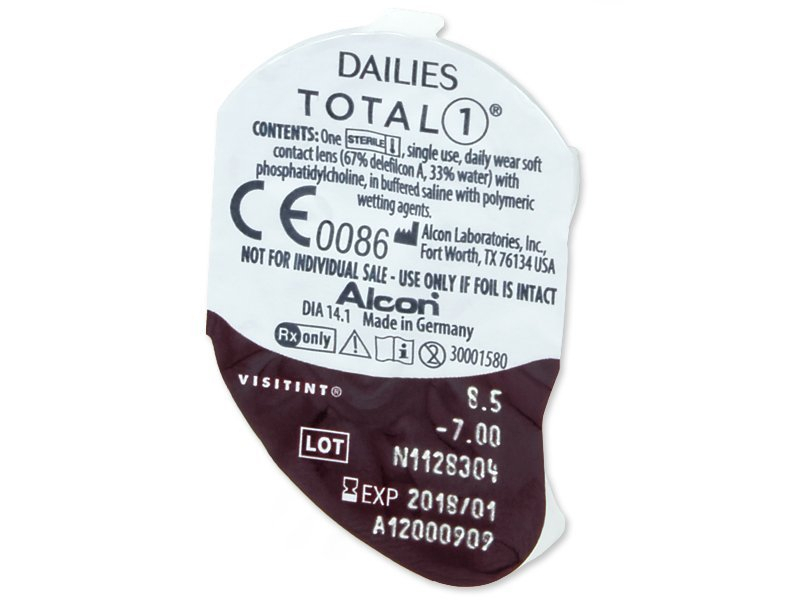 Dailies Total 1 material is highly breathable, so they're great for anyone suffering from dry eyes. We're glad you're not suffering anymore! If my eyes get damaged from lenses that you supply, who is responsible? The laws state that the supplier of contact lenses is responsible not the issuer of the prescription. Hi, Martin, Please contact Alensa Customer Service. Good contacts, feel comfortable and they last most of the day.